See more objects with the tag lighting, light, simple, elegant, details, scent, elemental, pure. 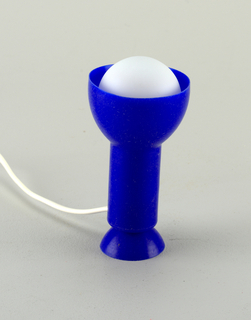 This is a T1 low table lamp. 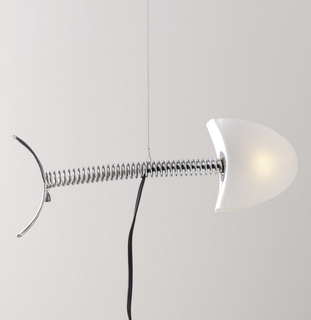 It was manufactured by FLOS. It is dated 2014. 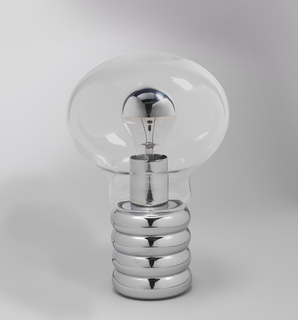 Its medium is brassed steel, blown glass opal diffuser. 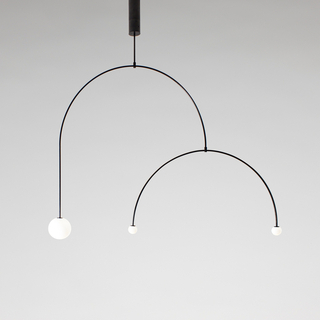 In this low table lamp, Anastassiades uses luxurious materials expressed in simple forms to reveal a fundamental materiality. 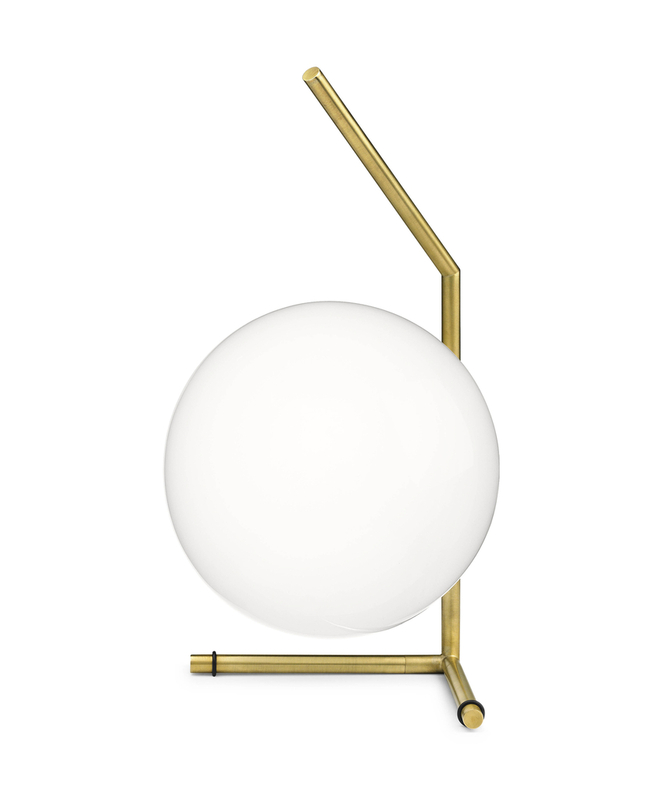 A single, opaline globe balances delicately on an arrangement of polished brass rods, inviting the viewer to consider not only the precarious nature of the forms, but to experience light in a jewel-like manner. 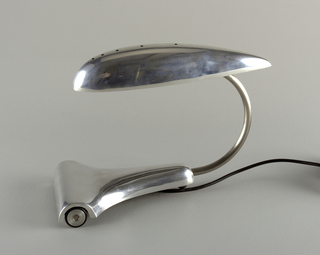 This object was donated by Flos. 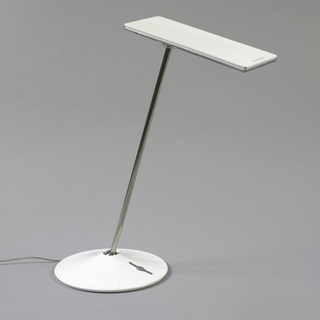 It is credited Courtesy of Flos USA, Inc..